It is actually an exciting time for the future of data storage as storage is becoming more integrated and distributed to meet the insatiable appetite of users for the Internet of things. 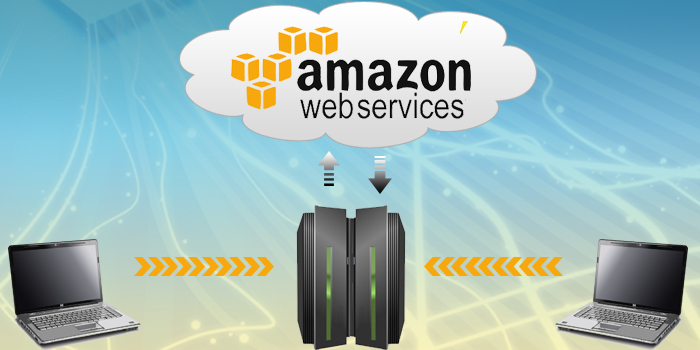 Amazon Web Services has added a new storage instance for data intensive applications. The new instances are designed for applications that require high storage depth and I/O performance. 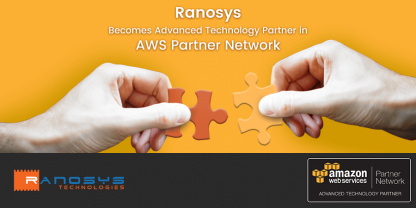 Amazon Web Services (AWS), group of such web services (often called remote computing services) make up a cloud computing platform, offers an environment with real time application services. It is a complete set of infrastructure that enables a person to run virtually everything in the cloud whether from mobile apps or websites, to any enterprise applications or huge data projects. According to one survey done by the analysts, in present era hundreds of thousands of customers of all size take most of this technology’s services in nearly every industry, including internet, education, media, insurance, financial services, healthcare, retail, real estate and the public sector in more than 160 countries. It is an API that gives any developer outside of Amazon the programmatic access to Amazon’s data and technology like product information, third-party seller info, customer-created content, Amazon’s shopping cart, distributed systems platform and much more. In 2004, an engineer at Amazon proposed that how the company could make a profit on the infrastructure required running the Amazon.com store. A Simple Queue AWS Service launched in Nov. 2004 for public use but it has officially launched in 2006 by selling computing power and data storage to emerging technology companies, blogs and websites. In the mid 2007, more than 320,000 developers had signed up to use Amazon Web Services (AWS), as claimed by Amazon. • Replace CapEx with OpEx: Amazon Web Services (AWS) can win more customers because it charges fees based on how much its services are used, so there are no upfront costs to deter adoption. It has replaced Capital Expenditure with Operations expense. So by using cloud computing, we could remove upfront investment for any expensive hardware and we need to pay for only required resources on a variable bases. • Lower overall costs: As we saw in above benefit of variable costing, cloud computing also helps to reduce the overall IT costs in multiple ways by which we could pay low variable cost as well. Amazon Web Services (AWS) massive economy of scale, efficiency improvements and multiple pricing models allow the customer to optimize for variable and stable costs. It would also attract more customers to its services. • No more guessing capacity: We have to make the capacity decision prior to deploying an application, either we get a limited capacity or we pay a lot for extra resources. And if we run out of capacity then we may face poor customer experience until we acquire more resources. With cloud computing, we provision the amount of resources we need and if we need more than that then we could easily scale up. If we don’t need then we stop paying by turning them off. • Agility/ Speed/ Innovation: With the old and traditional infrastructure, to get a server procured, delivered and running, it may take around 6-20 weeks. But you can deploy hundreds or even thousands of servers as per your needs by spending some minutes only, without discussing to anyone. This self-service and quickest environment changes the process of developing and deploying applications which allows your team to get the benefits of innovation. • Shift focus to differentiation: Cloud computing takes care data center investments and operations and lets you to innovate new projects. You and your engineering team could focus on the projects that grow your business instead of having them focus on IT infrastructure- which is important but hardly ever differentiates your business. • Go Global in minutes: By using old and traditional infrastructure, it’s somewhat difficult to deliver better performance to global customers and even most companies focus only on any specific region at a time to save costs and time. Either a small start-up or a large global company, everyone has got potential customers around the world, so with cloud computing we can easily deploy our application in any or all of the AWS regions around the world. It definitely means that you can provide a lower latency and better experience for your customers at minimum cost. Bottom line of benefit of this service is AWS cloud turns capital expenses into variable costs while preserving flexibility and enhancing scalability, availability and security. Amazon doesn’t disclose AWS results as it falls as “Other” category in Amazon financials but industry analysts estimated over $1B in 2012. Amazon has been spending a lot of money to improve AWS’s ability to offer more computing power and data storage and we expect AWS by next year to become Amazon’s next billion dollar business. Whether you are a small enterprise or a large multinational company, reap the maximum benefits of Amazon Web Services by hiring an experienced and dedicated AWS provider.